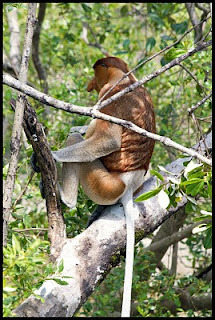 Best place to see the monkey is Bako National Park. 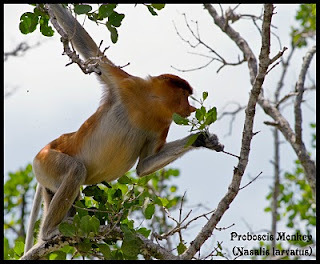 It is a home to approximately 150 rare proboscis monkey, found only in Borneo. 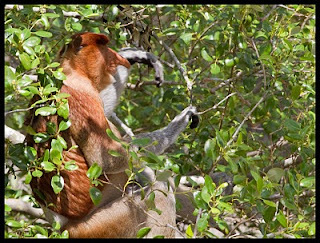 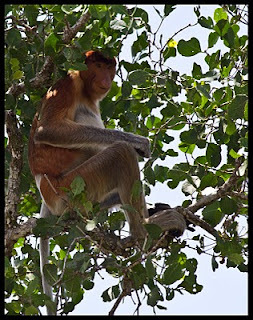 Ulu Assam is the good place to find this monkey as they come to eat leaves during early morning or afternoon. 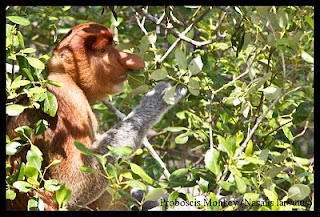 An Indonesian nickname for this monkey is “monyet belanda” which means “Dutch monkey.” The reason: the Dutch were among the first to colonize Indonesia and many of the Dutch plantation owners were large men with large red noses and big potbellies.